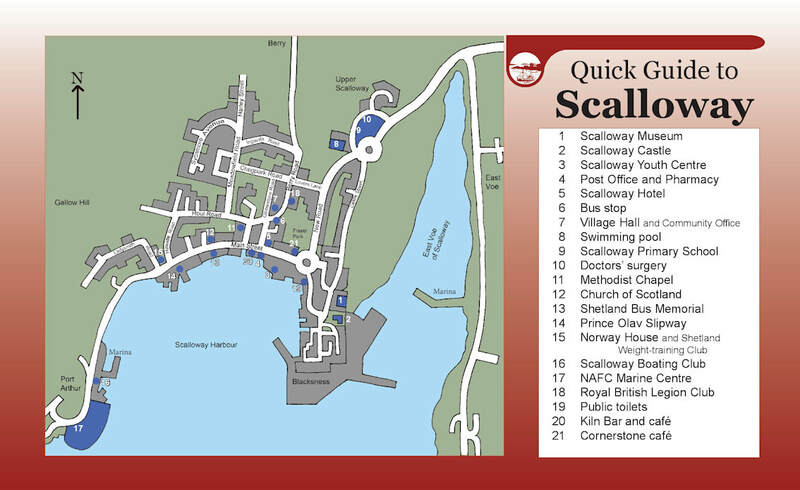 Below is a map indicating where you can find many of the Scalloway facilities and more details about some of them. ​The Scalloway Hotel is a family-run hotel, bar and restaurant on the waterfront of Shetland's former capital, just six miles from Lerwick. The hotel has twenty-two simply styled bedrooms, some with harbour views. The hotel restaurant has been awarded the only AA rosette in Shetland. Our head chef and his team prepare a seasonally changing menu which showcases local produce, particularly fish, shellfish and lamb. ​The Cornerstone is a family owned and run business centrally located in the village. There are five en-suite guest rooms available. The café is open from 9:30am to 5:00pm daily serving breakfast, lunch, afternoon tea and light bites. The Cornerstone also opens in the evening for meals. 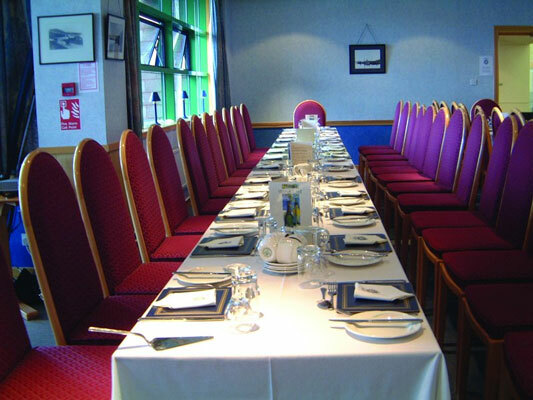 The Da Haaf restaurant, which is part of the NAFC Marine Centre, is a friendly café with beautiful views over Scalloway and Trondra, specialising in freshly caught and landed fish. Sandwiches are available from 8.30am to 12.00pm. Lunch is served from 12.00pm to 2.30pm and tea, coffee, soft drinks, scones and cakes are available all day. Dinner is served on Friday & Saturday evenings.